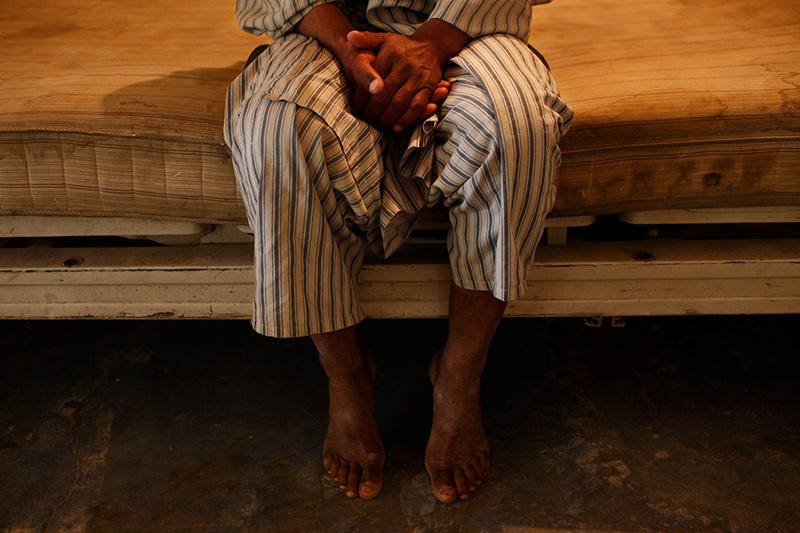 A male psychiatric patient sits quietly on a bed in the hallway of the men's psychiatric ward. According to a medical staff, the patients are supposed to bring their own sandals, spoon, teacup and such, but some can't even afford to bring these basic items. Some walk the concrete hallways and the lavatories barefoot.